I must be missing something. 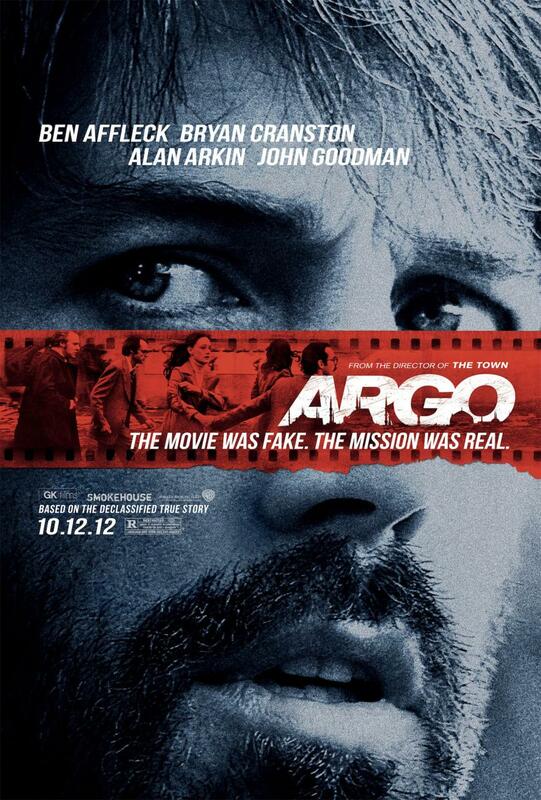 It has to be a slow year for movies when Argo is being hailed as one of the best in cinema thus far. Don’t get me wrong, it’s a decent flick, but if viewers and critics are doing cartwheels over this one then it means we’ve lowered our expectations too far. Ben Affleck proves what I’ve been saying since his directorial debut of Gone Baby Gone: that he should spend the rest of his career behind the camera. While he may have at least made an attempt to step out of his acting “comfort zone” of playing only smart-asses from Beantown, he still puts in a largely mundane performance. Behind the camera though was a different story. It was solid and well-made, but still missed the mark from being a truly great film. The story begins with a brief history lesson – something much needed and critical in being able to fully understand the film. It’s set during the 1979 Iran hostage crisis as the U.S. Embassy is taken over by radicals. Six Embassy employees escaped during the raid, but now the U.S. needs to extract them safely. They are hiding out at the Canadian Ambassador’s home but time is running out before they are captured. Keep in mind, there are still 40 other hostages still being held captive but because these six left the compound they are deemed in great danger if they are found because they will be treated like spies and executed. Ben Affleck plays the CIA exfiltration specialist whose job it is to bring them home. He has the crazy idea to pretend they are part of a film crew that is in Iran for location scouting. Seeing the previews for the film, you’d think this was the main premise and there would be a lot of attention to that backstory. Instead, they glossed over some important details. What they do focus on is how Affleck’s character manages to convince the agency to follow his idea and set the wheels in motion in Hollywood. There is a bit of levity during the process of creating this “fake film” as the cover story, but it’s not nearly as funny as some have made it out to be. Issue number one was the fact that you would think the entire story hinges on the hostages’ ability to pass for a real film crew. The whole point of the film focusing on the ability to have a believable “fake” film seems to require tha the people are as believable as the script and production. Unfortunately, the story barely even addresses this issue. Affleck’s character hands the hostages the scripts and bios and tells them to learn them front and back…and that’s it. He has to convince the hostages to buy into his plan and make sure they become the crew of this fake film. There was not nearly enough time spent on making sure they truly “played the part”. I just feel like this was such a crucial component that was overlooked. Maybe it comes back to the lack of acting chops on Affleck’s part but the film missed the boat entirely right there. Issue number two comes down to the sensitivity and compassion we have for the characters who are the hostages. Even though the film touches briefly on the “actual” hostage scenario, they seem hell bent on making the audience ignore the fact that 40 others are being held captive in a dungeon subjected to mental and physical torture and anguish. Yet we are supposed to feel compassion for these six who are staying at the Canadian Ambassador’s mansion, with housekeepers, drinking wine and eating food cooked by chefs each night? I understand they had a grave risk of being found and killed, but the other hostages were the ones who truly endured the pain. The ending of the film had a bit of suspense and kept me interested, but it was all fabricated if you know the true story. I don’t mind the literary license, but if you’re going to use it that liberally it better be the best damn ending you could conceive. It’s a solid film, worthy of seeing, but I wouldn’t be buying into the hype about it being one of the year’s best. Throwing an Oscar nod at it would further validate my contention that the awards are a complete sham. Interesting Cameo Appearance: Tate Donovan (aka the skeevy Jimmy Cooper in teeny-bopper drama The O.C. [yes that’s right I just dropped an O.C. reference on you]) as Bob Anders, one of the six Americans in hiding and awaiting rescue. Tony Mendez: What’s your middle name? What’s your middle name? What’s your middle name? Shoot him, he’s an American spy! Mark Lijek: Is that your real name? Jack O’Donnell: They’ve got revolutionary guards going door to door. These people die, they die badly.